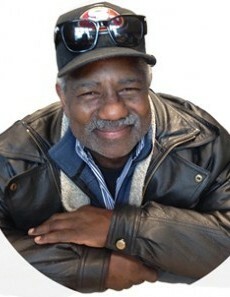 Alfonzo S. Cotton was born March 31, 1949, and passed away Nov. 27, 2018, in Tooele, Utah. He is survived by his sisters Deloris Jeffries and Shelia Cotton; children, Christopher T. Cotton, Ebony N. Cotton; stepson, Chad Ehlers, and their children. He was preceded in death by his wife, Frankie Cotton; parents, Hattie Mae Cotton and Stanley Jeffries; siblings, Annie J. Cotton, Joyce A. Cotton, and Albert Cotton. At the time of his death, Alfonzo was employed by Clean Harbors where he had many friends. Alfonzo had a zest for life and football. He loved the 49ers, Alfonzo was an amazing man who will be greatly missed. A celebration of life will be held Friday, Dec. 7, at the Tooele Gateway Apartments club house from 5:30-7 p.m.